Alright! 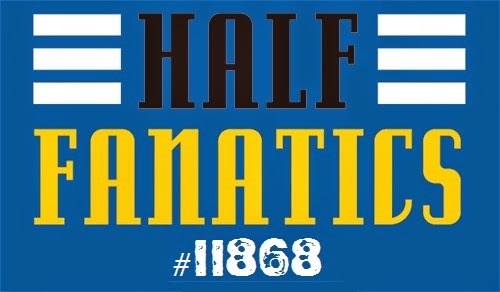 Sorry about the interruption, but I was off running a marathon last Sunday and was in no way up for cooking AND writing about it. I did throw together some shrimp spring rolls with peanut sauce (which I will be giving you the recipe for today), but that was it. This week, I decided to cook up something that I've been meaning to cook for a couple months now but keep forgetting about, so it never happened. 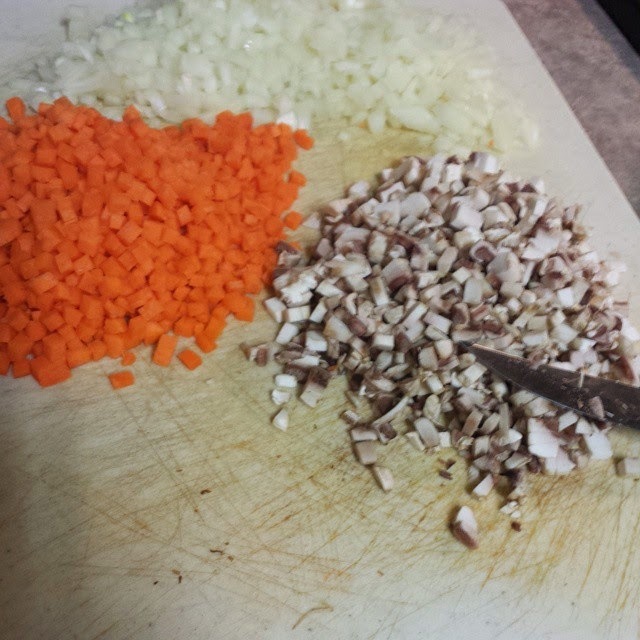 HEALTHY SHEPHERD'S PIE!!!! Oh yea, that's right! I took a couple different recipes and threw them together and made my own concoction! ***this recipe makes 1 serving of the peanut sauce and 2 servings of the spring rolls (I mass produced this recipe when I made it and made 15 rolls and 5 servings of the sauce, hence the info pic for the spring rolls saying "5 servings"). • drain and rinse the noodles well, place them in a microwaveable dish and heat them for 3 minutes, then rinse and drain again. press out excess moisture using a clean towel. • you will want to lie out all your ingredients so that they are easy to reach and ready to roll...literally. it moves fast once the rice wrappers are moistened. • moisten rice paper in hot water by laying it in the plate. 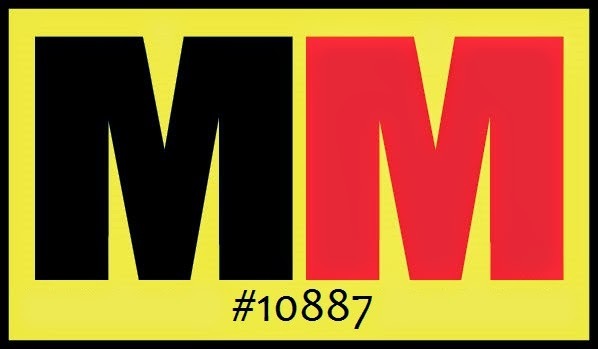 it shouldn't take more than 30 seconds to accomplish this. 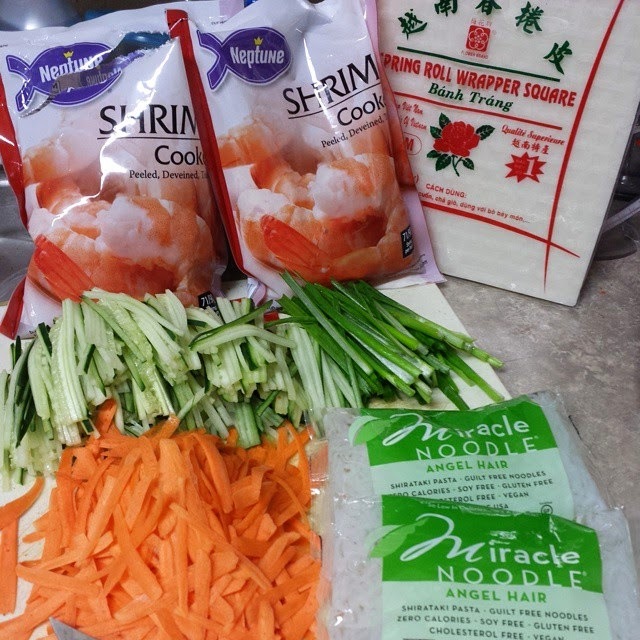 • lay out the spring roll on a board or on a clean counter top and fill with a few slices of all the ingredients, 4 whole shrimp, 6-8 strands of the noodles. 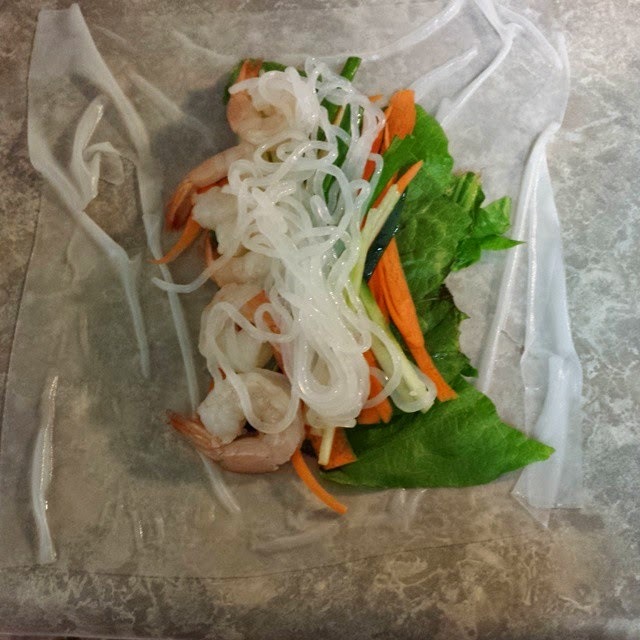 • fold up the sides of the rice paper, then roll tightly from front to back. the paper should stick to itself. you can go rather tight, as well. it's tough so don't get discouraged. 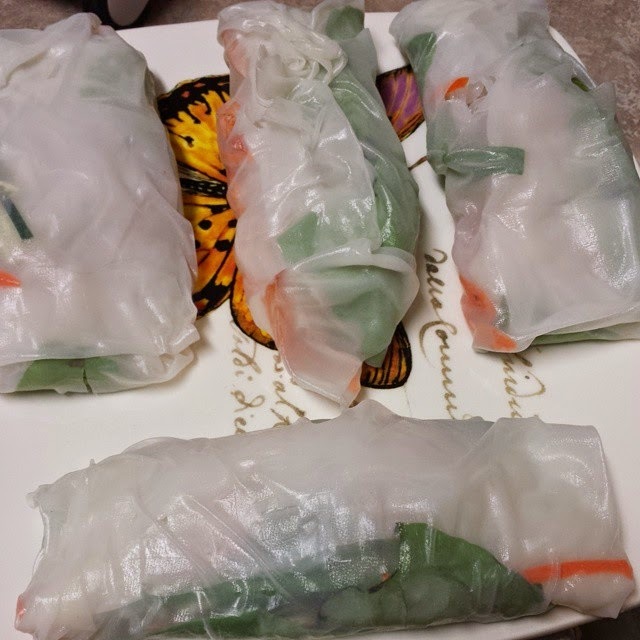 • lay out the spring rolls to dry. they'll be a little tacky. then you can box them up. 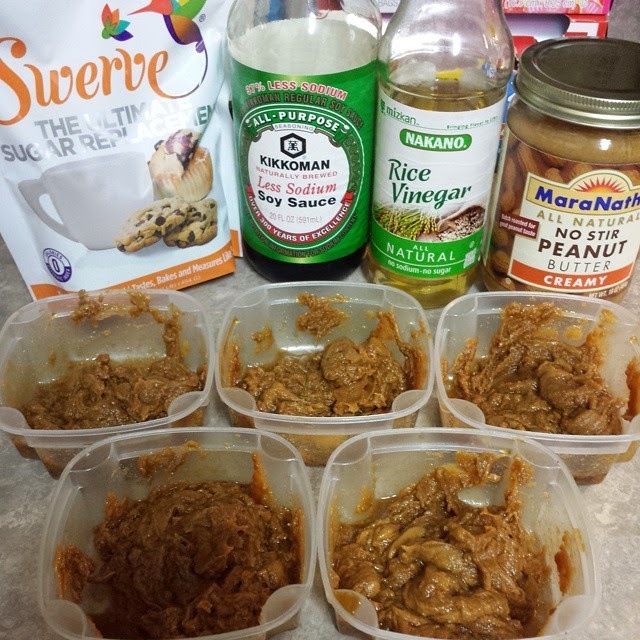 • mix the peanut butter, vinegar, soy sauce and sweetener together and package separately. 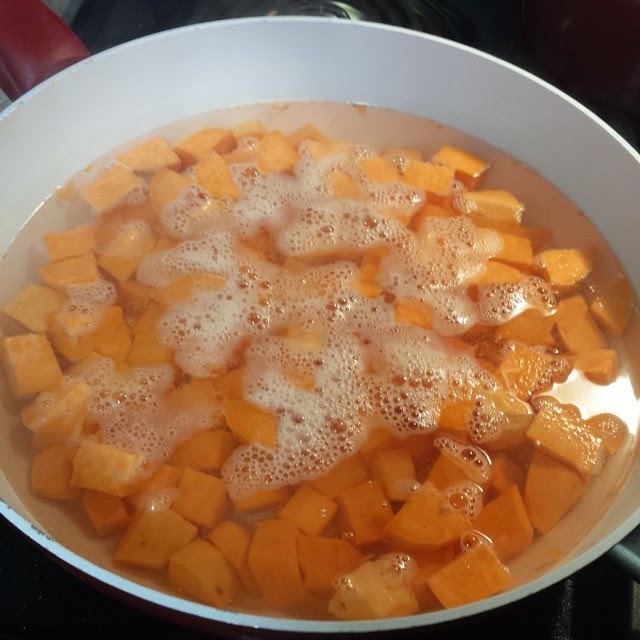 • peel sweet potatoes, cube them and boil them for 15-20 minutes. set aside. • separate cauliflower florets from the head and steam for 15-20 minutes. 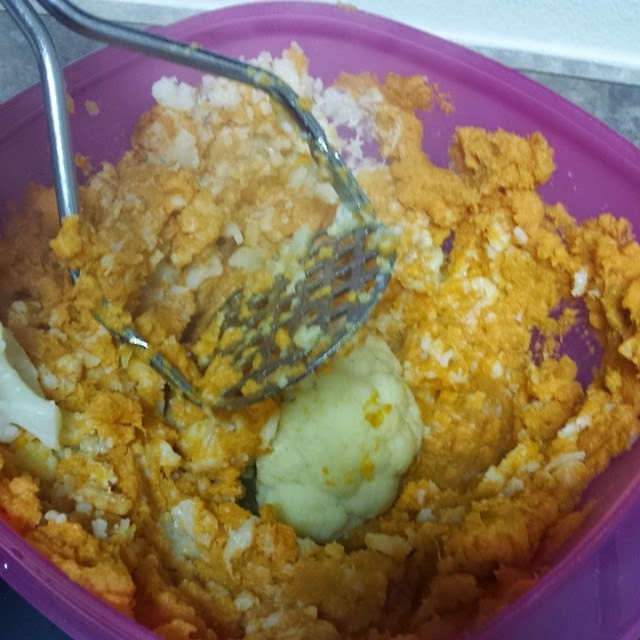 • mash the sweet potatoes and the cauliflower together. 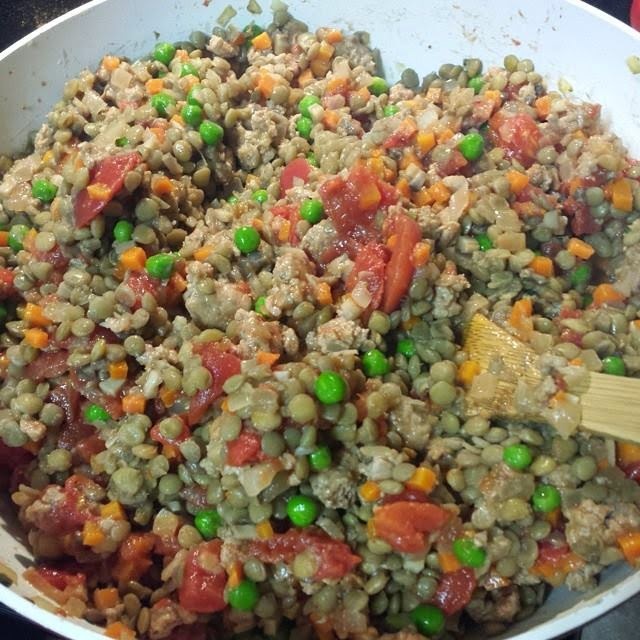 • brown the turkey, then add the chopped up veggies, frozen peas and diced tomatoes. add the all-purpose flour and stir well. set aside. 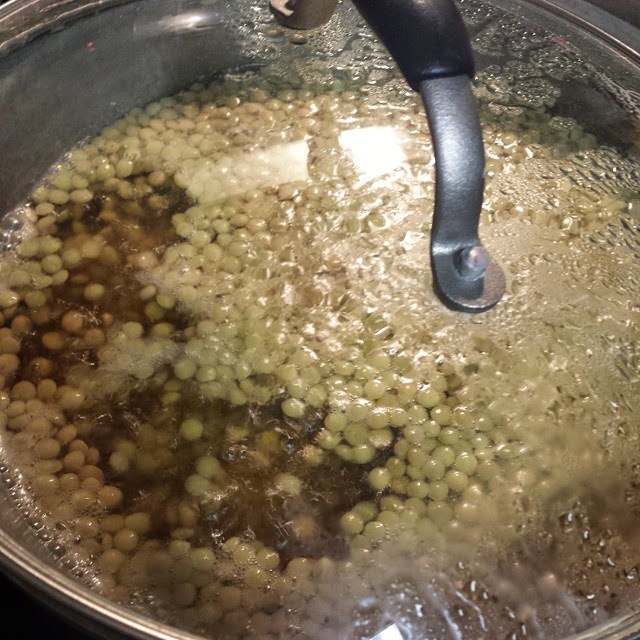 • once the lentils are done cooking, add them to the turkey and veggie mix. 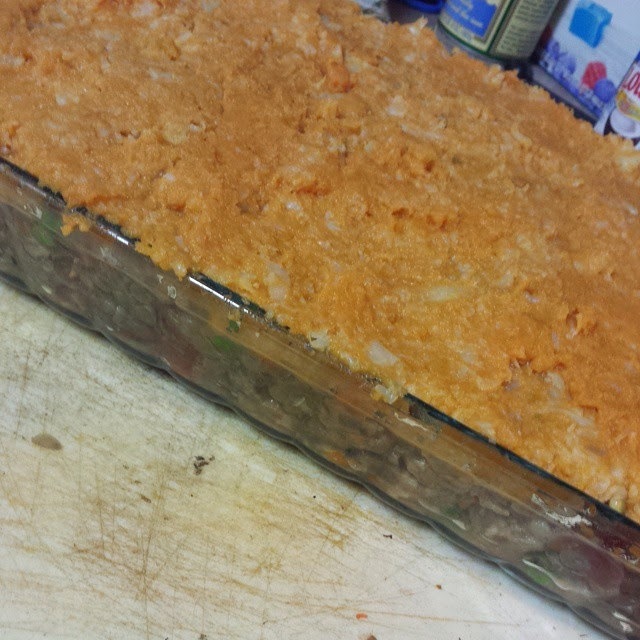 • transfer mixture to a 9x13 baking dish and spread the sweet potato cauliflower mash on top and smooth out evenly. • place in preheated oven and bake for 30 minutes.